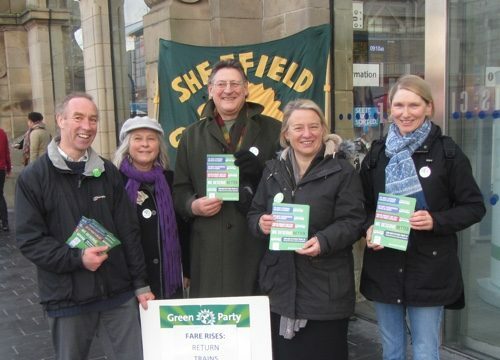 Sheffield Green Party has responded to the East Midlands rail franchise consultation, setting out its vision for how the railway should run. The response also sets out the Green Party’s vision of railways that are publicly owned and controlled. It calls for electrification of railways, investment in the North to match the South, late night trains and planning ahead for reopening stations like Heeley, Millhouses and Totley Brook. “We hope our views are taken into account and make the railway a public service right at the heart of society and of Sheffield. The DfT ran the consultation to seek views on the re-franchising of the East Midlands rail contract. This includes the Sheffield to London main line, local lines and the management of Sheffield station. At present, the franchise is held by East Midlands Trains. The new contract will run from 2019.